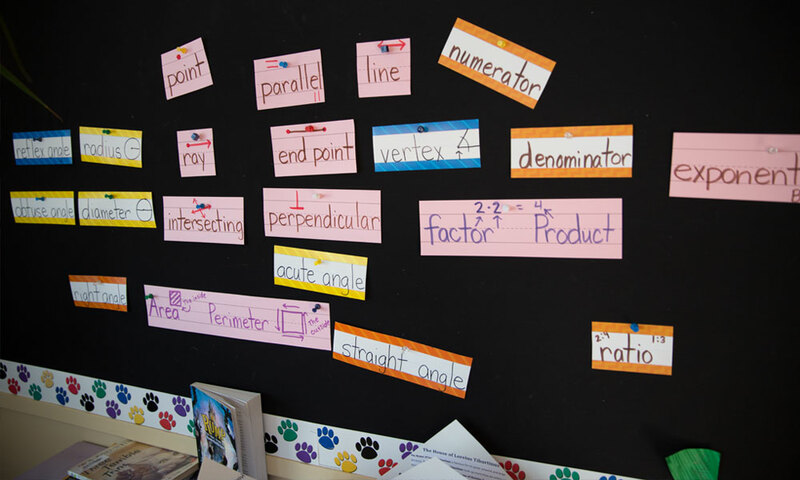 We use a variety of resources to ensure mastery of math standards. Our adopted curriculum is Math Expressions published by Houghton Mifflin. The Math Daily 3 includes Math by Myself, Math Writing, and Math with Someone. It is a framework for structuring math time so students develop deep conceptual understanding and mathematical proficiency. Students are involved in the exploration of math concepts, which includes hands-on learning activities. We also use IXL math (IXLmath.com) for daily math practice. What are the Montana Common Core Standards? The Montana Common Core Standards, Montana’s English Language Arts and Mathematics standards, ensure that our students graduate prepared for college and the workforce. The standards reflect the knowledge and skills that students need to be successful in the 21st century economy such as problem-solving, critical thinking, communication, teamwork, research and use of technology. The standards are higher and clearer than our previous standards and provide a grade-by-grade pathway that gives all students an opportunity for a high quality education. The new standards set an expectation that students graduating from high school will be capable of successfully completing first-year college courses. Additionally, the clear, grade-by-grade standards allow parents to know how their child is doing in school today and trust the information. Parents will know if their child is keeping up and staying on track for their grade level. Working together, we will meet the goal of graduating every Montana student from high school prepared for college, work and life.